Providing you the best range of stainless steel tank, stainless steel hopper and stainless steel conveyors screw with effective & timely delivery. 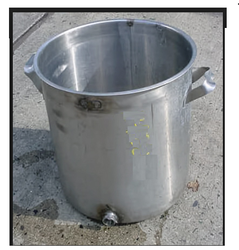 Our company has achieved widespread recognition in offering Stainless Steel Tank to the clients. Stainless Steel Tank is manufactured made by using optimum quality raw material and sophisticated technology in accordance with the standards which attracts the clients most. The offered range is widely used in many industries for various applications. This product is properly checked by expert quality controllers on different parameters to ensure flawlessness. The offered range is available in many sizes, shapes and can be customized designs as per the specific requirements of the clients. Our company has mastered the art in offering Stainless Steel Hopper to the clients. 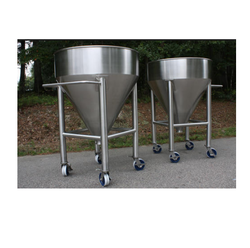 Stainless Steel Hopper can be customized as per required needs of valuable patrons. The offered range is widely appreciated by the esteemed customers for unmatchable characteristics. This product is manufactured under the guidance of experts and in accordance with industry defined parameters. The offered range is well tested on various parameters in order to deliver flawless range to the end user. This product is dispatched in perfect packaging material for safe transportation. 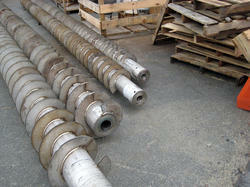 Our company has gained immense accolades in the field of offering Stainless Steel Screw to the clients. Stainless Steel Screw is manufactured under the guidance of skilled professional by using premium grade material and latest techniques. This product is praised by clients for owning remarkable characteristics. The offered range is applauded and cherished in the mark to precious design and long life by the esteemed clients. This product is well tested by the quality controllers on different stages before the delivery. The offered range is dispatched in quality assured packaging material.